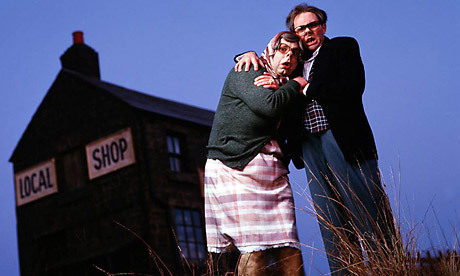 Stereotypes and slaughter: Why are horror films set in the countryside? When you’re not being offered as human sacrifice you’re either being forced to knife-fight your own wife and son to the death, getting eaten by the local wildlife or being pushed off a cliff by a psychotic caravaner from Redditch. Or, at least, this is what the film industry would have you believe. The countryside has often provided fertile ground for all things murderous, horrible and supernatural on the silver screen, playing on the stereotypical urbanite fear of our myth-ridden landscape, where the nearest policeman is a hundred miles away and nobody knows what a cappuccino is. At this time of year there is a predictable crop of Halloween films, but why does the countryside in particular awaken the primeval and the superstitious in us? 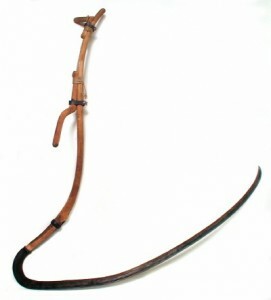 Here at MERL we’re not short of sinister objects and ghosts of the past – for instance, the Grim Reaper would feel at home in our collection of scythes; our numerous animal (and human) traps have seen countless final squeaks and gasps; smocks and shoes of the long-dead hang hang quietly upstairs; we have slaughter hooks, carcass hangers, guns and docking knives. Even our sickles have seen thousands of tiny deaths in fields of wheat. Our collection reflects how the countryside revolves around death as much as it does around life, and much of the rural economy exploits the life cycle of animals and crops to provide food and clothing for us all. 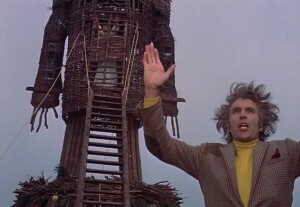 Apart from this proximity to the life-cycle, another reason could be the pagan heritage of our Celtic fringes which still lingers in both remote communities (The Wicker Man) but also in national traditions (i.e. May Day). There are the practical reasons, such as how it tends to be darker and sparsely populated. In fact there is a unique feeling of isolation in the countryside, keenly felt in a nation where c.90% of people live in cities. Another element is how myth and legend are often rooted in our rural past, be it the derivation of Jack o’ Lanterns from Somerset will o’ the wisps, werewolves in the woods, giants in the mountains or pixies at the bottom of your garden. And of course, there is ‘the other’ – the classic stereotype of people referred to in TV’s League of Gentleman as ‘locals’, who, as you step into a candlelit country pub, turn to stare at you as the needle scratches off a record. It does not matter that these ideas are outdated or untrue, they remain stereotypes to be exploited. 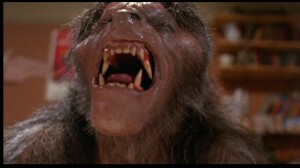 In ‘An American Werewolf in London’, an American tourist becomes infected by a werewolf in the Yorkshire countryside. Whatever the inspiration for a rural horror film, however, there is usually one common theme: that the stranger, usually an urbanite, ends up dead. Sometimes they don’t deserve it and sometimes they do, but often their death is due to offending the morals or way of life of a rural community (or sometimes vice versa, as in Straw Dogs). This is particularly the truth in newer films such as Sightseers, which exploits this idea of moral killing which lays at the heart of most modern horror films. In place of traditional myth and legend, of hubris and nemesis, we now have the moralising horror movie where protagonists are struck down for their sins. The countryside is seen in some movies as a place where a more enduring idea of right and wrong persists, whether it takes the form of the pagan community of The Wicker Man or a community desperately trying the preserve an imagined way of life, such as in Hot Fuzz. I would, however, argue that British rural horror films are almost unique; the far more popular and populous American genre is often based on hillbilly brutality, Bigfoot and other myths. 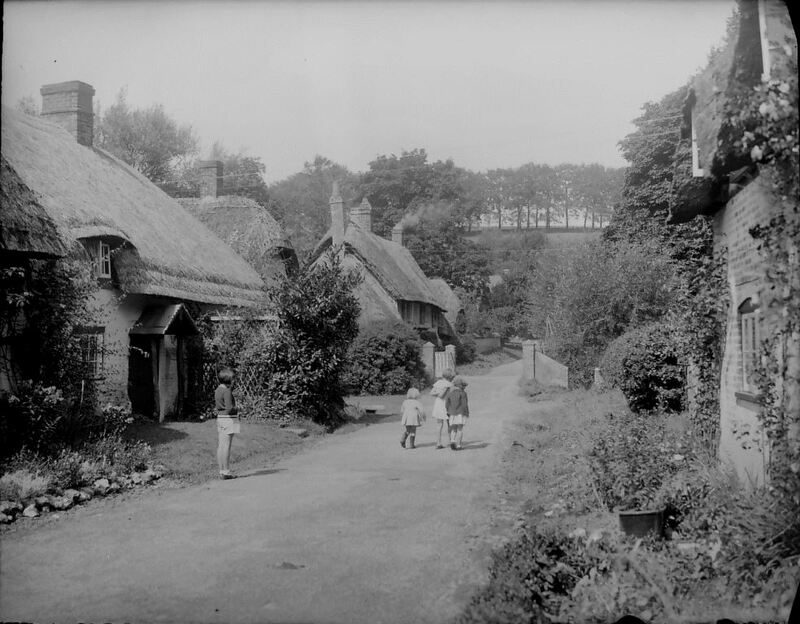 The British genre, however, can draw on centuries of rural life, myth and legend that stretch back to the medieval period. At the root of it all, I think, is the idea of the countryside being where you can get ‘back to nature’ or, to put it another way, to return to the savage state of nature. 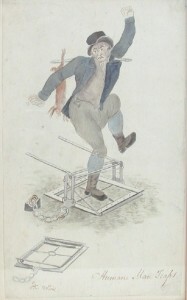 Put on a layer of centuries-old stereotypes, regional rivalry and an increasing disconnect between city and country and we have our modern fear of fields and ‘locals’. Never mind how they bear little relation to reality. Edward and Tubbs in ‘The League of Gentleman’ represent an extreme end of a rural stereotype. 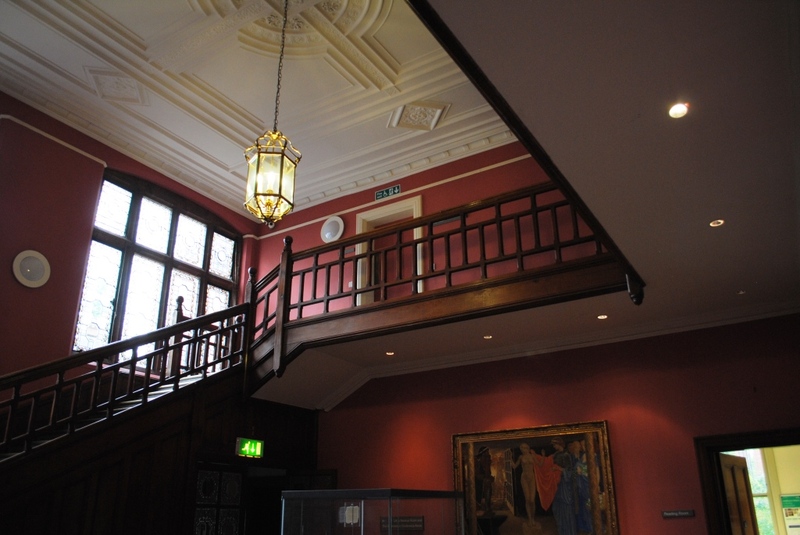 Don’t miss the last chance to visit MERL before we close for redevelopment! 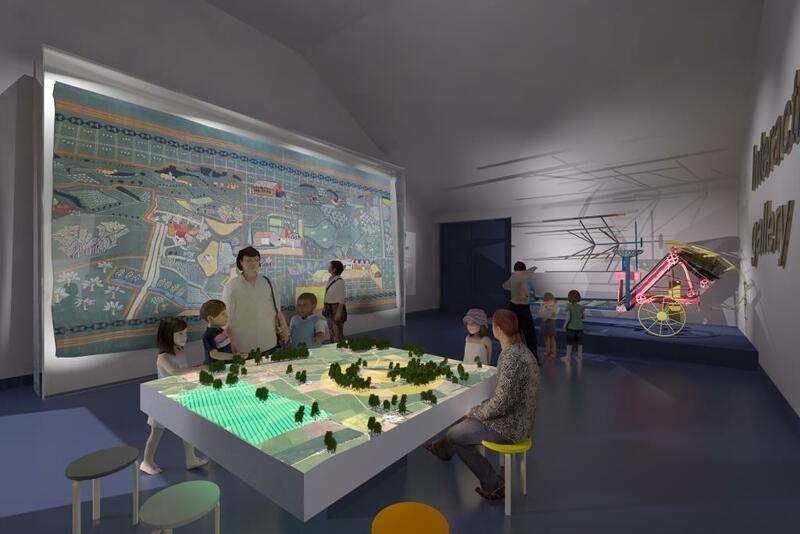 See a display of plans and pictures of our new galleries, tell us what you’d like to see in the new Museum and garden, and try our image key words activity. 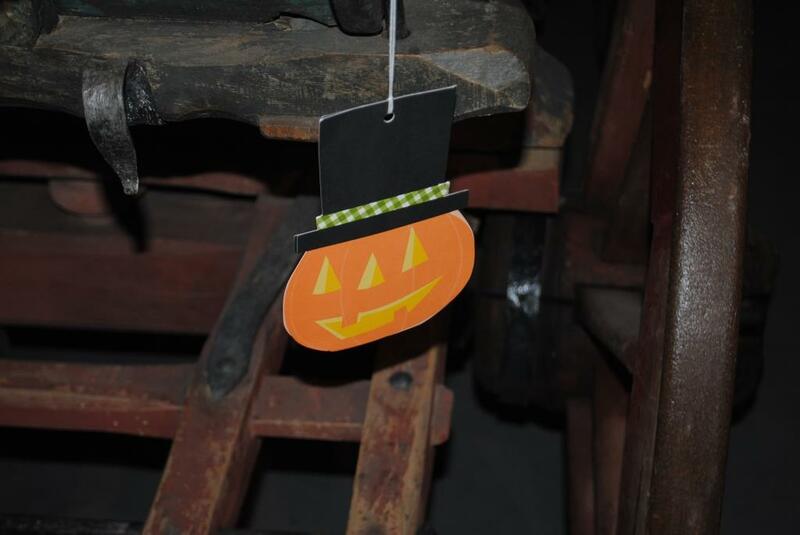 Follow a free pumpkin hunt and receive a chocolate prize! 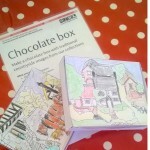 Make and decorate a chocolate box in our free make and take activity. 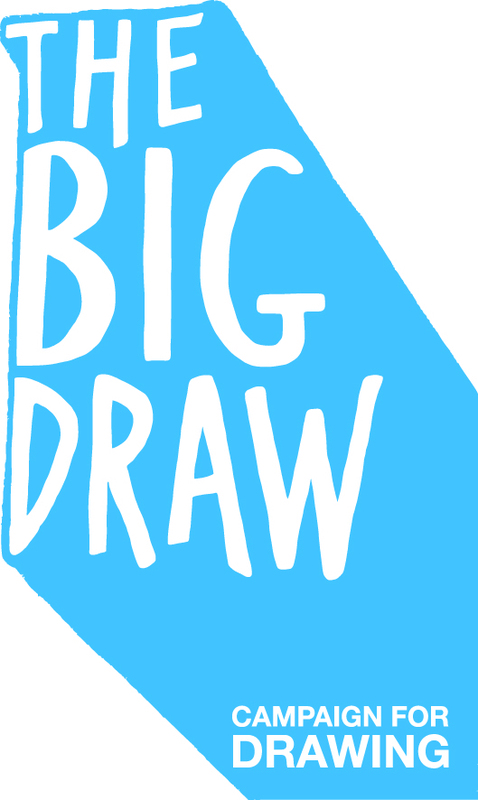 Location*: The Print Studio and room G10, Art Building L04 on the London Road Campus. 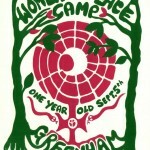 *Park and meet at MERL reception and we will walk to The Print Studio together. Suitable for children aged 7+. Work with University of Reading art students to help make beautiful artwork to decorate hoardings which will be used whilst MERL is closed redevelopment work to take place. 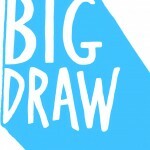 During this session, attendees will design large format art inspired by the MERL’s collections using mixed media and the Print studio’s fantastic printing presses. Sir Peter Shepheard (1913-2002) was an influential architect and landscape architect. After training at the Liverpool School of Architecture, Shepheard moved to London in 1937. During WW2, Shepheard served first at the propellant planning department at the Ministry of Supply, on the construction of Royal Ordnance factories. In 1943 he joined Abercrombie’s staff to work on the Greater London Plan for post-war regeneration and growth in the capital. Shepheard remained at the Ministry of Town and Country Planning working on early prototypes for the new towns. He shared a room with Hugh Casson, another significant figure in the field of architecture and design. In 1948 Shepheard formed a partnership with Derek Bridgwater and with the addition of Gabriel Espstein and Peter Hunter formed the practice of Shepheard, Epstein and Hunter where he stayed until his retirement in 1989. Shepheard held high profile positions in professional architectural bodies: serving as president of the Architectural Association, president of the Landscape Institute from 1965-1966 and from 1969-1971 president of RIBA. He was appointed CBE in 1972 and knighted in 1980. In 2000 he received the Landscape Institute Gold Medal. 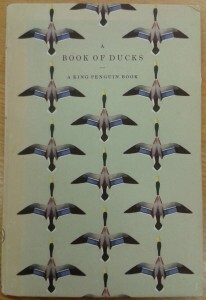 Shepheard had a real talent for drawing, illustrating two books on ducks and woodland birds in the King Penguin series. 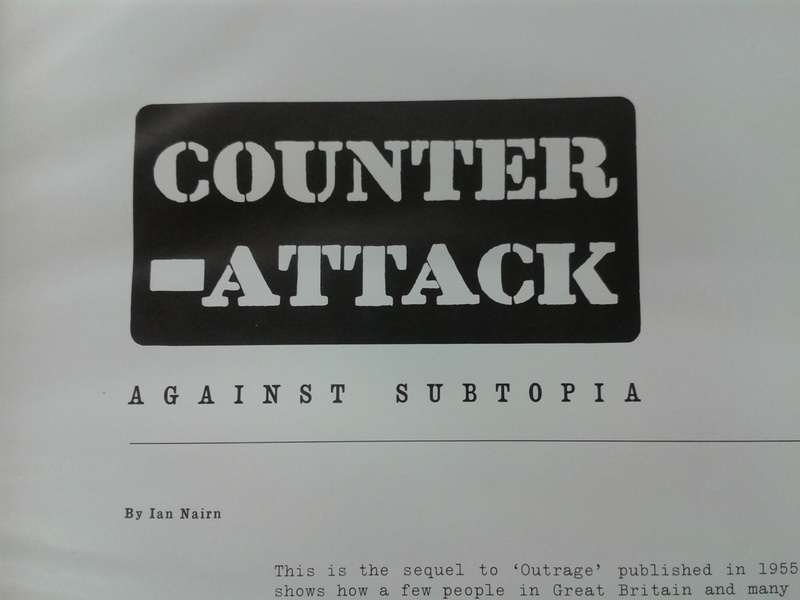 Interestingly, these titles are both held in the Printing Collection of the University of Reading’s Special Collections, providing a fascinating link between our MERL and Special Collections. 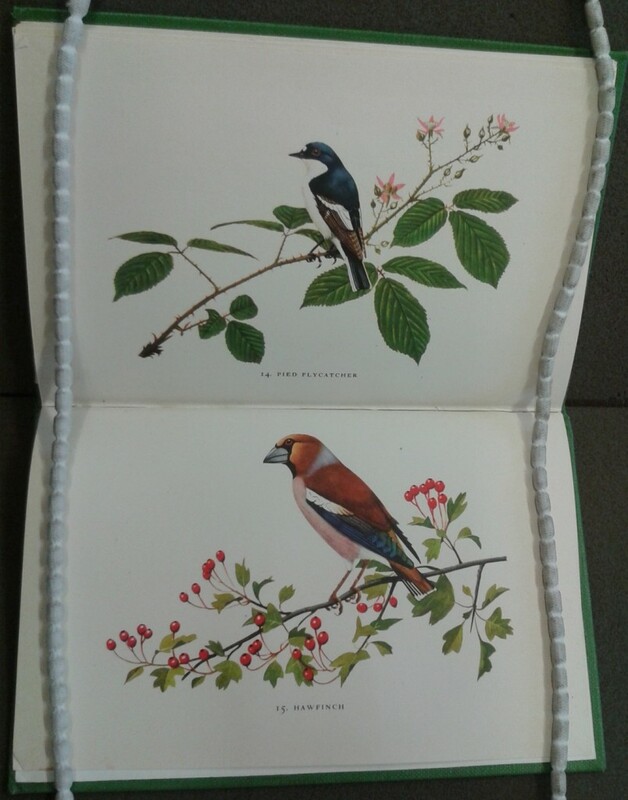 Shepheard’s beautifully detailed plates from Woodland Birds and the attractive cover of A Book of Ducks can be seen above. 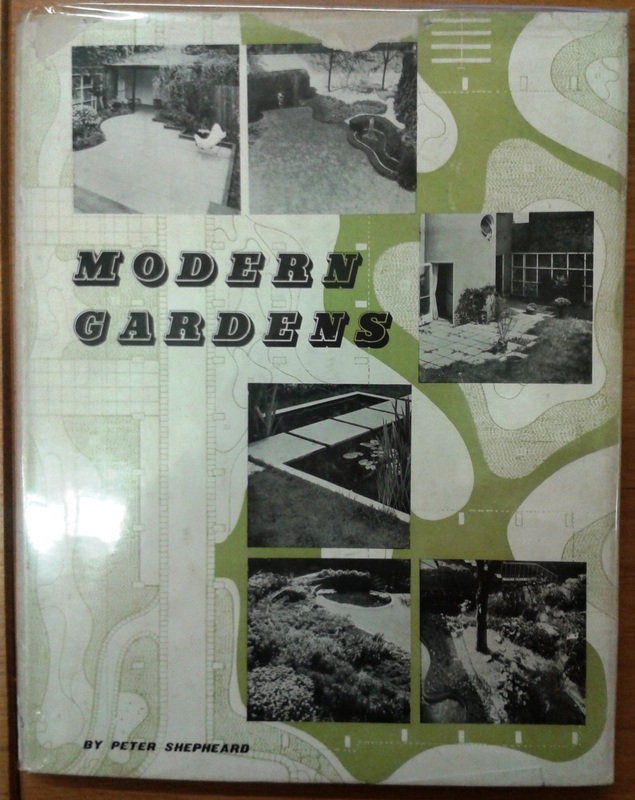 Within our collections we have several books that relate to Shepheard, be they written by him (Modern Gardens, 1953), featuring essays written by him (Counter-attacks against Subtopia, 1957) or about him (Peter Shepheard, (Annabel Downs, ed. 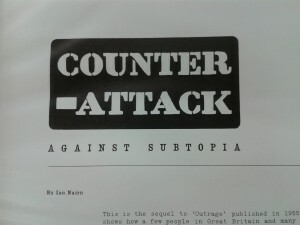 ), 2003). 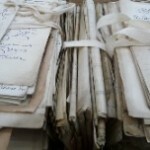 The Peter Shepheard archive (currently uncatalogued) contains drawings, photographs, project files, correspondence, personal papers and drawings of nudes and birds. Rob Davies reviews the latest rural read. For the September meeting, we read Clay by debut author Melissa Harrison. Clay is an unusual novel for Rural Reads because it is set firmly in a city; it is, however, about how people within an urban environment interact with the green spaces available to them. This is a theme we as a group find particularly fascinating, partly because of where we all live, but also because of MERL’s urban location in Reading. 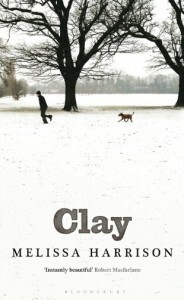 Clay is driven by a loose plot about a group of people who in some way or form have a relationship with a green common within a housing estate. The characters all have varying degrees of interaction and relationships with one another; each of them is missing something from their lives and all are craving friendship and companionship. 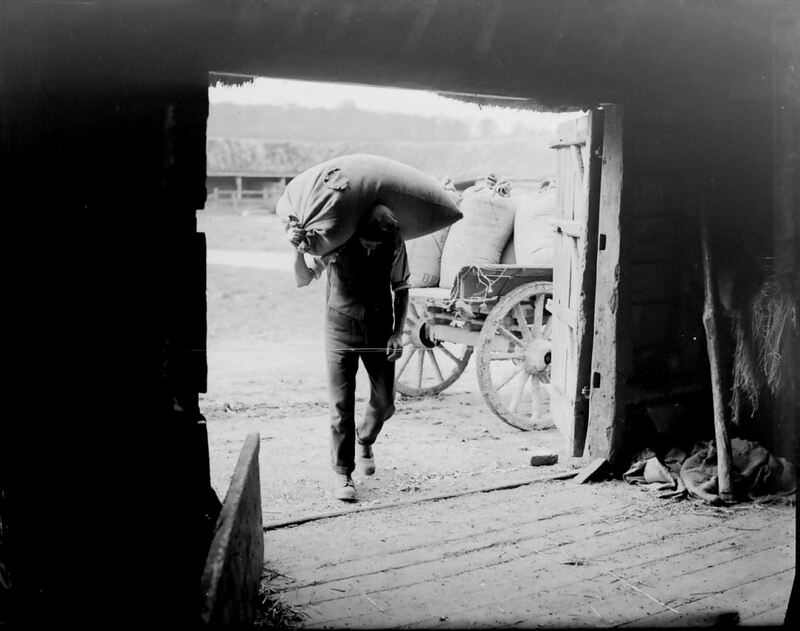 These characters include a young boy from a disrupted home, an elderly widow, her daughter and her granddaughter, and an Eastern European immigrant who lost his farm and now works in England. Each of these characters has a relationship with the Common, which for each of them is variably a place of peace, adventure, memory and intrigue. Yet it wasn’t so much the plot that captured our attention as the wonderful nature writing with which Harrison filled the pages. Harrison interweaves the main plot with these beautiful descriptions that add a whole new depth to the novel; this is what really captured our imaginations and also why we consider Clay to be a ‘rural read’! My first question to the group was “did you enjoy Clay?” and I was answered with a unanimous yes. We all enjoyed the book as a whole, and it was a light read that we were easily absorbed by. We all really enjoyed the way Melissa Harrison wrote about nature, and I would recommend reading her blog Tales of the City where she writes about the diversity of nature found in urban environments. For October 30th we’re reading Unicorn by Iris Murdoch, which marks a change in our reading remit. When the Museum closes at the end of October for work on the Our Country Lives redevelopment to take place, Rural Reads will move to the beautiful Staircase Hall in the Victorian part of our building. 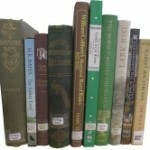 Our remit will expand to encompass the varied and vast Special Collections held by the University of Reading. 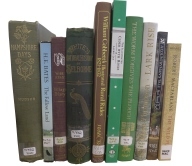 Alongside books themed around the countryside, we will be taking inspiration from the libraries and archives. The depth of these collections means we’re all very excited about where this new reading adventure will lead! 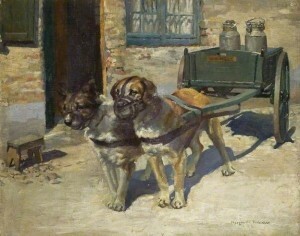 In my mind the idea of a dog cart is fairly funny. The idea of, say, a Pug or a French Bulldog pulling along bespoke, miniature carts is absurd, endearing and yet a little unsettling, like performing animals at the zoo. 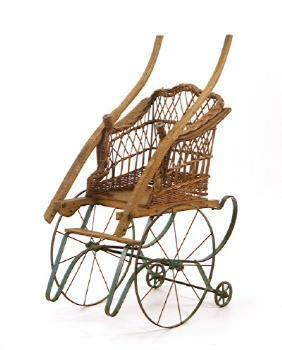 They are also some of my favourite objects at MERL. Nothing else has confronted me so immediately with its oddity: when did we use dogs as draught animals? Why was that okay? Who made these carts, and who used them? It is the ethical issues, however, that I enjoy the most. Why is it one rule for one animal and a different one for another? Docking dog tails is restricted or banned in most countries, but it’s fine for sheep. 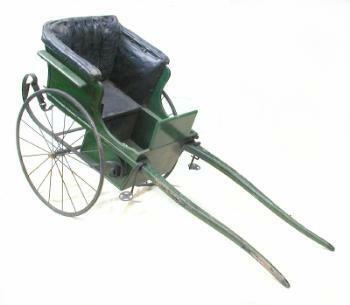 Is it hypocritical to think of dog carts as cruelty to animals when we still use horses and oxen to pull carts? The Act for the prevention of Cruelty to Animals has since been updated without mention of using dogs for draught purposes so I’m not sure if it even is illegal anymore. Perhaps it’s simply because it would be such a rare occurrence for someone in the modern age to construct a cart and conscript a canine that it is pointless to legislate against. 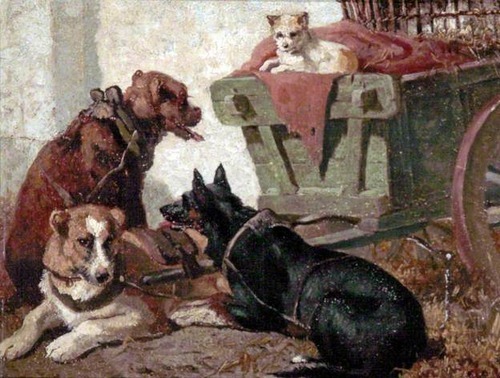 A google, however, reveals that dog carts are still sold in the USA. So if you want to be driven around by a dog for some reason, try there. Just don’t use ours. MERL/63/101 – This one is actually French, so it’s a little strange that we have it..
A new extension will feature the chance to have your say in current issues, marvel at objects showcasing our technological ingenuity and witness our 1951 Festival of Britain wall hanging. 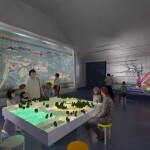 Artist’s Impression (Fabrice Bourrelly/3DW). 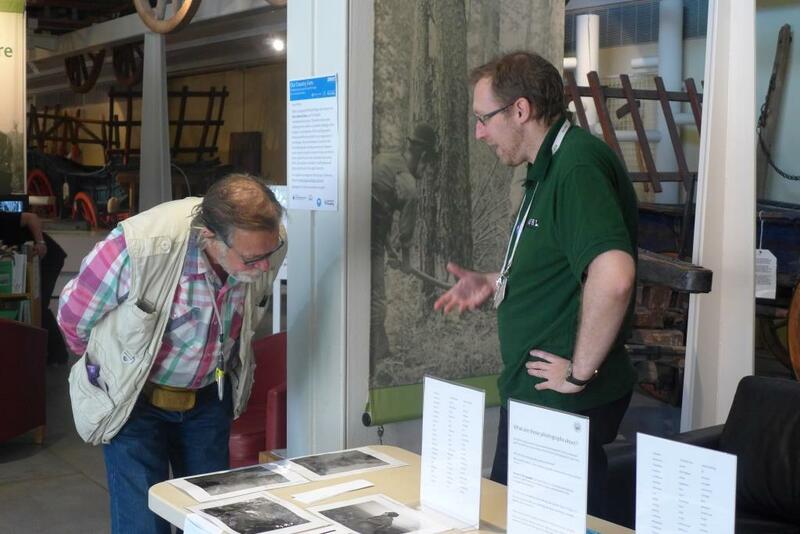 It was quite a relief in the end, therefore, to hear positive reactions all round, with many visitors expressing their excitement at the prospect of a new MERL. 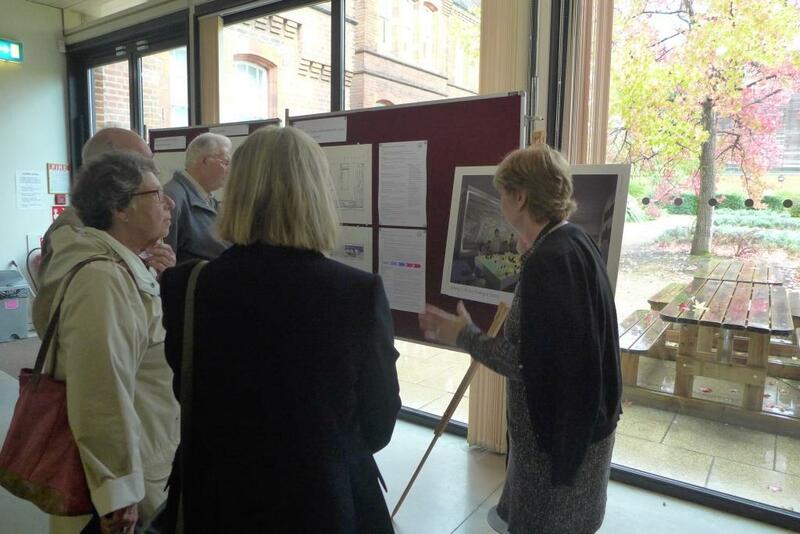 We had quite a diverse audience, with attendees ranging from long-standing local supporters, regular family visitors and first-time visitors, as well as some who happened to be visiting and came across the event by chance, and they were all interested in slightly different aspects of the plans. The event was originally billed as just an ‘Information Day’ aimed at communicating details of the project, the changes involved and letting people know about the ways they could get involved. As we planned the day, however, we added activities which enabled us to turn it into a bit more of a consultation, a two-way conversation. 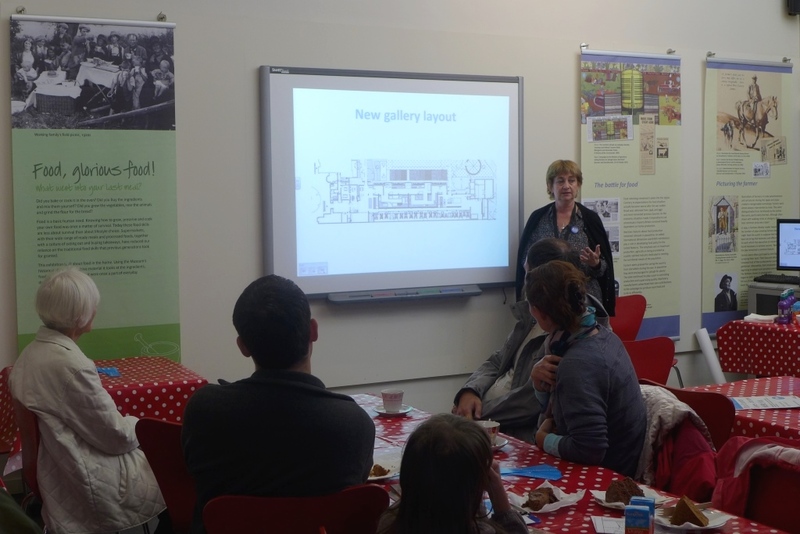 Our Curator, Isabel Hughes, did give two presentations describing our plans in detail. 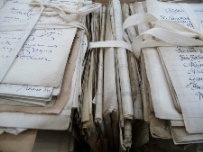 But we also took the opportunity to seek feedback, involve visitors in some image key-wording and trial an object handling activity (find out about the questions that raised in Greta Bertram’s blog here). 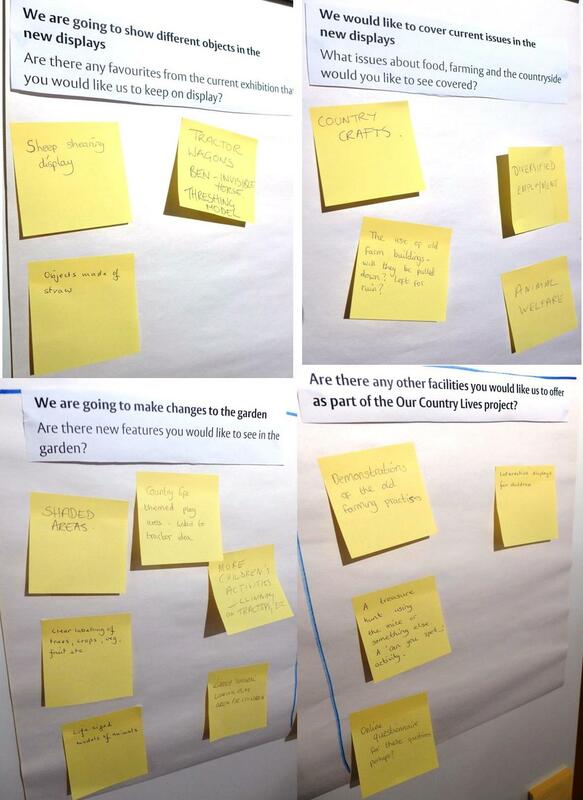 Following on from our recent discussions about perceptions of the countryside at the Berkshire Show, we showed visitors contrasting images of the countryside from our collections, and asked them to choose words to describe what they are about rather than what they are pictures of. It was a very popular activity with all ages, with people seeming to be keen to think about how the images made them feel and record their emotional responses. 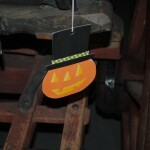 We’ll be getting children to have a go at this during half term too. 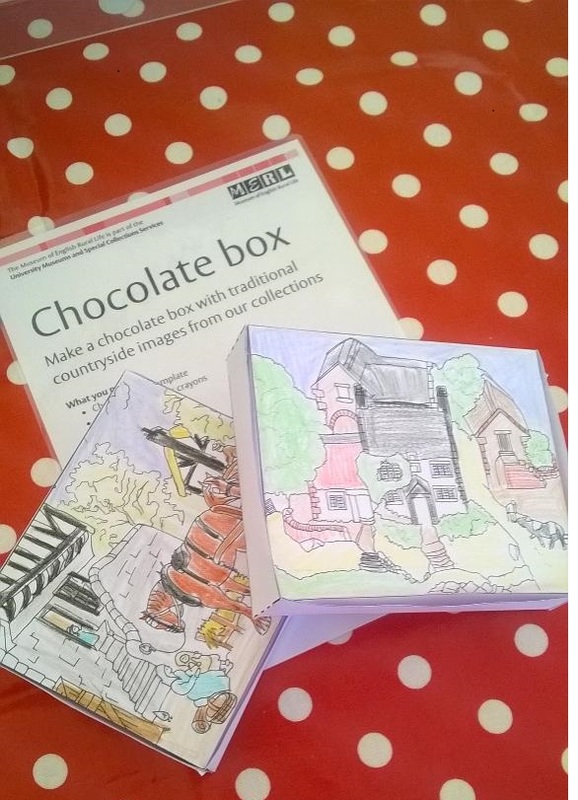 Also inspired by our stand at the Berkshire Show, we made the ‘Chocolate Box’ colouring activity available for families; this time, however, located in the temporary exhibition area where the objects collected as part of the Collecting 20C Rural Cultures project, and which were used as inspiration for the drawings of twee countryside scenes, are actually on display. 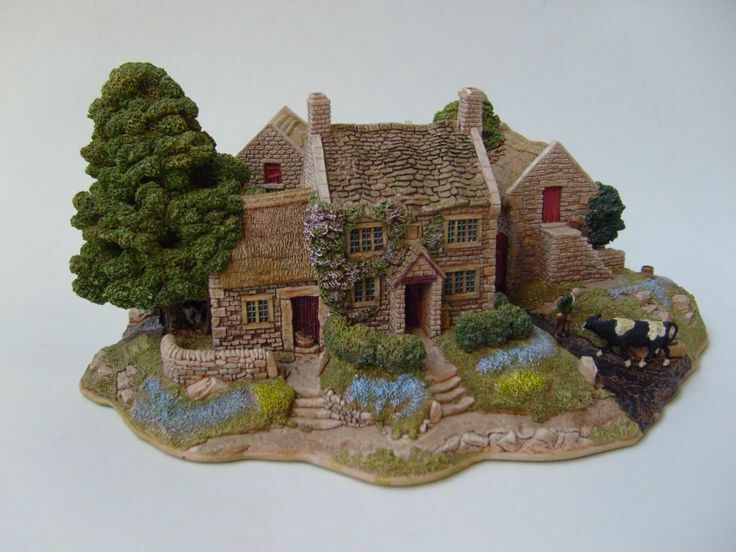 (See it on Pinterest) It was really great to see that the children were genuinely excited to see the Wedgwood plate with the nostalgic Shire horse image, the Lilliput Lane farmhouse, and Norman Neasom watercolour. We also took the opportunity to bring down from the mezzanine store a selection of objects to show how the displays will change in the new galleries, such as highlighting the countryside as a place for living as well as a place for working, and using archives and photographs alongside objects to enhance the displays. We plan to move away from a focus on large-scale agricultural machinery and technological change, and instead tell the stories of the people who lived and worked in rural England. It was really good to have time talk to people individually, explain the proposed changes, and gauge their reactions. 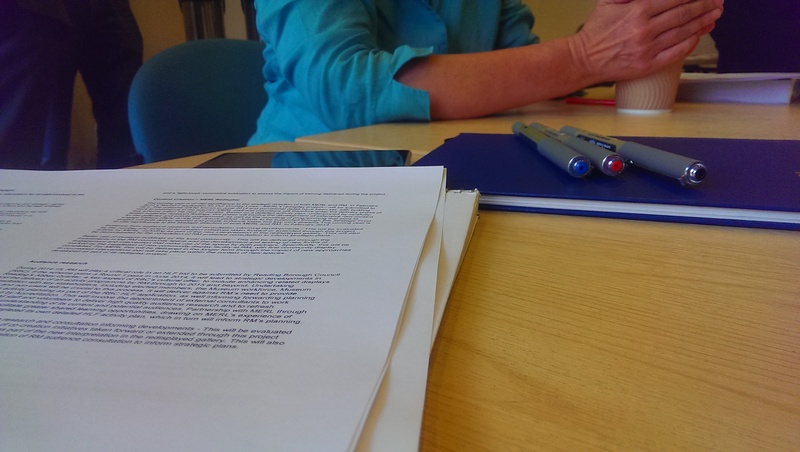 We weren’t recording our conversations formally this time, but it was useful to have some ‘quality time’ with people who were really interested in talking about the future of MERL. We will be looking at ways to carry out formal visitor consultations with our museum designers throughout the closure period. Volunteers’ Voice #15: What is a community? 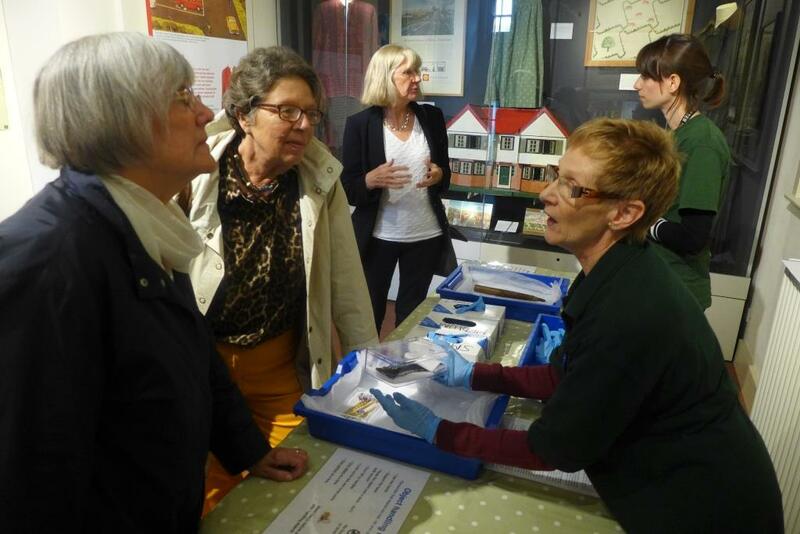 Last Monday I attended the Sharing Day for Reading Engaged, an Arts Council England project where Reading Museum and the Museum of English Rural Life are collaborating on numerous aspects of our work from retail to volunteering. It was an interesting day where I spoke about the volunteering elements of the project and how volunteers have supported the delivery of some of the project’s aims. During the day we had a discussion about the idea of community and, more specifically, about what a community is. 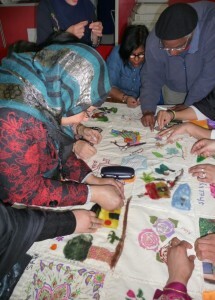 A community can mean and represent many things, from a community group to a community who all live on the same street. This notion of community got me thinking about our volunteers and how our diverse volunteer team are all part of a community, and indeed how UMASCS as a whole is a community. Theoretical discussion aside, volunteers and community groups can often go hand in hand. I recruit volunteers through community groups, and even whole community groups often come in to volunteer on particular projects for us. When I was looking to widen our volunteer team to reflect the population of Reading, I looked first at local community groups and spoke to them. At first (although not always) they can be hard to contact or to convince them to be involved with your organisation, but once you have built that relationship it can be overwhelmingly productive and last for a long time. Our Sewing Bee with the Slough Roots group. At the Museum of English Rural Life we recently worked with ‘Slough Roots.’ Originally, this group was interested in the Museum because of plant cultivation and the varied plants and herbs we have in our garden. We developed this relationship and soon found ourselves working with them on a quilting project, influenced by our extensive collection of fabrics and our large collection of sewing machines. Following on from this, we are about to embark upon another similar project inspired by our fabric collection. 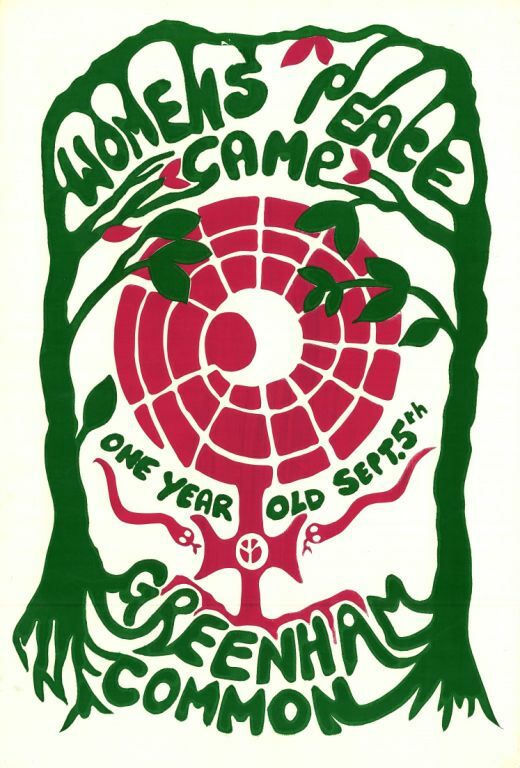 Another community group we work with is our local Women’s Institute; the W.I have played an active role in our previous Village Fetes and in the past supported an exhibition at MERL. I have a volunteer who speaks at W.I. 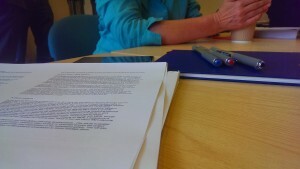 meetings about MERL and our Special Collections, and in turn I have recruited many volunteers from the engagement we have them.